Former Alabama Sen. Jeff Sessions’ confirmation as U.S. Attorney General contributes to, or coincides with, reenergized fears that national, state, and local authorities are slowing Alaska’s cannabis industry growth and could even halt it in its tracks. Several regulators and industry members have expressed a sharp concern that the Gov. Bill Walker administration has held up the process through the Alcohol and Marijuana Control Office, an executive branch function under the Alaska Department of Commerce. Walker’s office did not return a request for comment. The state has some obvious reasons for delays. The Alcohol and Marijuana Control Office is woefully understaffed and has asked on several occasions for the Legislature to kick them more money for new staffing. Alaska’s industry is developing more slowly than its Lower 48 counterparts, though some of that can be explained by a more limited market size and the challenges of Alaska’s small capital pool, large geography and the lack of an established medical marijuana cultivation and distribution network. In the first three months of legal sales, Colorado businesses sold more than $50 million worth of recreational and medical cannabis. Oregon sold an estimated $27 million in the first two months. Washington sold just less than $12 million — a comparatively slow start with only 18 licensed stores. In Alaska, exact figures are harder to come by in terms of actual amount of product sold. Rather, the $50 per pound excise tax levied against cultivators is the most accurate measure. In the first two months of sales, Alaska collected $226,000 from cultivators, and expects the total tax revenue in 2017 to climb as high as $12 million, according to state estimates. The slowdown is pronounced in Anchorage, which has 30 percent fewer active businesses in relation to completed state licenses than any other major population center. The Marijuana Control Board has made big strides in advancing the industry’s regulations, but some of the hottest items from 2015 are still up in the air. The state has still not tried Rocky Burns, Larry Stamper, and Charlene Egbe, each of whom allegedly ran unlicensed cannabis delivery services and retail shops before regulations were in effect. 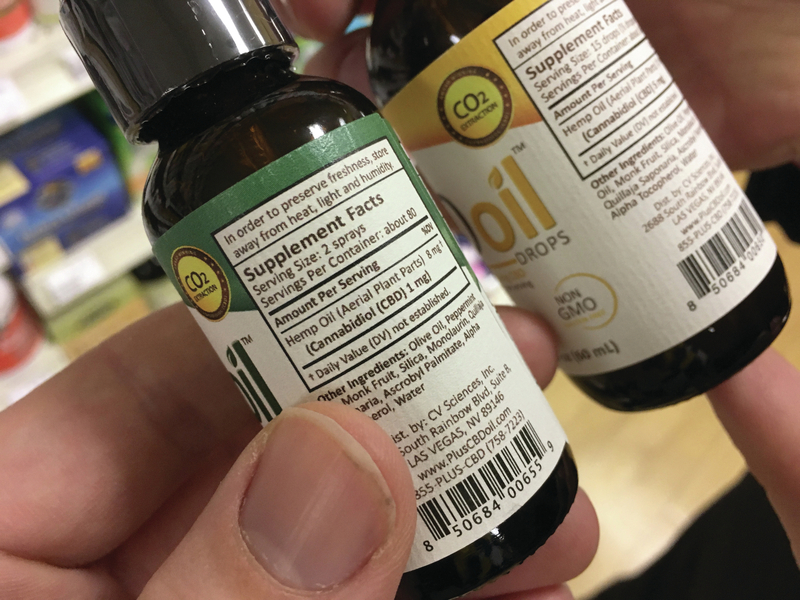 Social clubs and onsite consumption are still unresolved, and the state rounded up and seized thousands of dollars worth of cannabidiol oils from retailers of Feb. 9. At its most recent meeting, the Marijuana Control Board cancelled an onsite consumption provision package — which has been a high-profile part of Alaska marijuana regulations since late 2015. Industry leaders took it as the latest sign that they’re being stymied by an element from somewhere within Alaska government. “I think this was incredibly driven by the administration,” said Jana Weltzin, an Alaska cannabis business attorney and board member of the Alaska Marijuana Industry Association. Weltzin highlights the fact that the attorney who reviews regulatory items before they go out for public review takes administrative direction. Weltzin was referring to errors made in the Alcohol and Marijuana Control Office. During the meeting, interim director Sara Chambers told the board that AMCO had made administrative errors in releasing the draft for public notice. This is the third time the draft was incorrectly noticed. This time, however, rather than kick the package back to a later date, the board opted to drop the subject entirely with a 3-2 vote. Public member Mark Springer of Bethel, who had supported the concept since 2015, said he would rather drop it than risk newly appointed Sessions’ scrutiny. Beginning in mid-2015, public consumption came to the forefront of the state’s developing regulations when several clubs around Alaska popped up that offered a bring your own marijuana venue. After batting back and forth and a whole lot of legal haze that included an opinion by Alaska Attorney General Jahna Lindemuth that the clubs are illegal, the Marijuana Control Board decided it had no authority to outlaw the clubs. Anchorage’s club, Pot Luck Events, is still operating. Though it acknowledged it had no authority to ban the clubs, the Marijuana Control Board did introduce the concept of an onsite consumption provision. This would let retail shops offer an area where buyers can consume what they just bought. Since 2015, Alaska cannabis businesses have eagerly waited for onsite consumption provisions. Without them, they reason, tourists won’t have a place to legally consume what they buy from Alaska’s shops. Nationally, cannabis legalization advocates have noted differences in how states set up their respective programs. Lawmakers and officials have long cited the fact that Alaska had no preexisting medical industry to explain Alaska’s slow progress with developing marijuana regulations and developing a full industry. Armentano said he doesn’t believe that rationale. Armentano said there are now enough templates for both recreational and medical marijuana that no other reason for slow development exists besides institutional resistance. “Alaska potentially raises this issue as well,” he said. “When we look at the states where voters have approved markets — Colorado, Oregon, Washington — all of those states have been able to roll those programs out operational and functional. Despite requests from Chambers to the Legislature for more AMCO funding, and from the board for a position on social clubs, the only marijuana-related topic lawmakers have on the 2017 agenda is an industrial hemp bill. With a 52-47 vote, Sessions has set a new record for most opposed attorney general in U.S. history. After a month of broad panic, the nation’s marijuana industry can’t seem to agree on a single way to feel about Sessions, according to the slew of press releases and his careful aversion to a straight answer — which has been routine from the federal government for a half-decade with anything concerning marijuana from banking to gun policy. Sessions, a player in the 1980s drug policies of the Reagan administration, has a history of ominous statements about cannabis. He became infamous for a statement that Ku Klux Klan “was okay until I found out they smoked pot,” a tongue-in-cheek statement made in 1986. As recently as 2016, he has remarked that “good people don’t smoke marijuana,” and that Washington leaders should not support its legalization. However, Sessions also responded in a confirmation hearing that he acknowledged federal resources could be stretched thin by attempting to enforce federal laws against states. Some industry advocates are measured about Sessions, saying he has given no indication that the new attorney general will enforce any more federal cannabis laws than President Barack Obama’s administration did. In a mild plea, Aaron Smith, executive director of the National Cannabis Industry Association, wrote that the organization “looks forward” to Sessions keeping up the previous administration’s policy. “That policy, as outlined by the Cole Memo, has allowed carefully designed state regulatory programs approved by voters and lawmakers to move forward, while maintaining the Justice Department’s commitment to pursuing criminals and prosecuting bad actors,” wrote Smith. Others fear he will prosecute marijuana businesses in states where it is legal, in compliance with federal law.